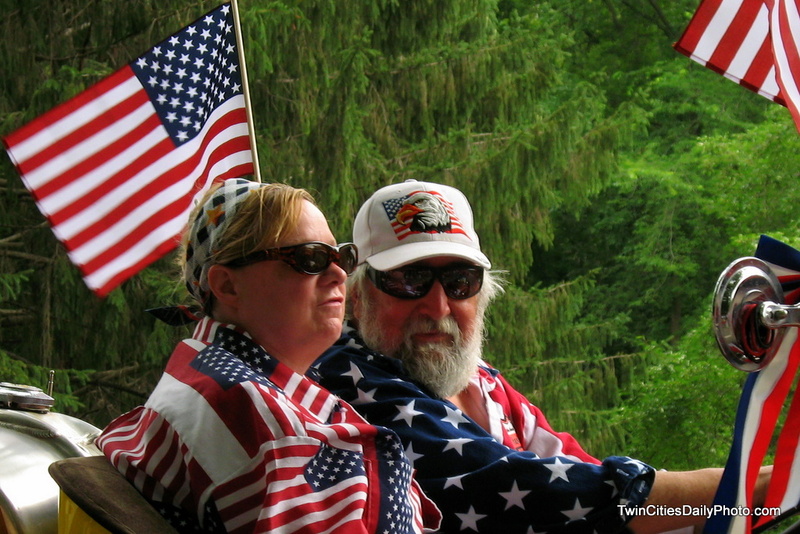 Twin Cities Daily Photo: Happy Birthday America! Happy Independence Day to all my fellow Americans....I captured this photo exactly one year ago and have waited all year just to post this on the 4th of July. I LOVE all the red, white, and blue on the blogs today. Let's hear it for freedom...everywhere in the world! Now those are some patriotic souls! Happy 4th! A great shot! Yes, Happy Birthday America! I guess it is NOW I found out how BIG your day is.